Like many other sectors of our economy, the airline industry has been working to shake off the effects of years of economic stagnation, including the great recession of 2008. The losses for American carriers have been significant with the U.S. airline industry losing an estimated $50 billion and being forced to reduce its workforce by nearly one third since 2001. While there are various factors at play, the heart of the problem has been an over imposing government, which has consistently stifled the industry with mandates and taxes. According to Airlines for America, "The U.S. aviation industry and its customers are subject to 17 different federal taxes and fees, which totaled nearly $19 billion in 2012. In FY 2013, U.S. airlines and passengers paid $2.3 billion in federal taxes and fees to TSA - a 100 percent increase from the amount collected in 2002." If any other business in America was forced to pay 17 different federal taxes, then it too would have problems surviving, let alone succeeding. Yet, instead of allowing our domestic carriers to compete on an even playing field with foreign carriers, the U.S. government hampers the American airline industry at every turn with a slew of taxes and regulations, thus giving foreign competitors a distinct competitive advantage over their U.S.-based counterparts. And Congress now intends to make matters worse. The budget conference committee is considering raising the fee the government charges to airlines for passenger security. In fact, according to news reports, the proposed measure would double a tax on U.S. airline passengers. The revenue collected from this so-called fee would be directed to the Transportation Security Administration (TSA). Make no mistake that this fee is just another tax increase. It will surely discourage travel causing our nation to lose revenue otherwise headed to the U.S. Treasury, in addition to shedding more jobs that middle class families rely upon. Give the current fragility of our economy; we must do a better job weighing the impact of increasing fees or taxes. We can all agree that airport security is essential and should be appropriately funded, but that does not mean that we should give the government a blank check to spend on excessive and ineffective programs, especially in light of America's $17 trillion debt. 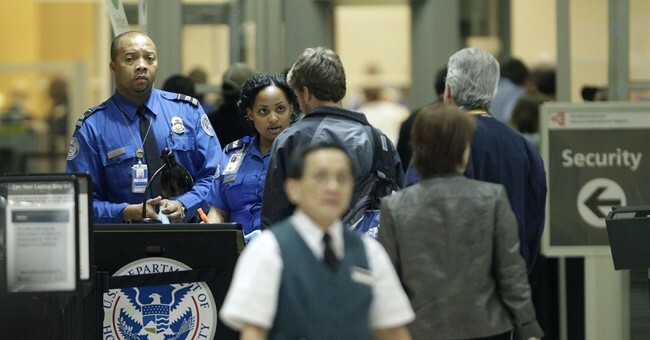 Since 2007, the TSA workforce has rapidly grown by 13 percent and Congress has opted to increase its budget by 18 percent. Over the same period, the total number of passengers screened has decreased by 11 percent, making it difficult to justify the budget increase. And Congress now wants to raise fees or taxes, which would endorse TSA's wasteful spending without making meaningful decisions about how to identify savings. Unfortunately, this could have severe economic repercussions. As history has consistently shown, new fees or taxes are not a viable pathway to economic recovery, as it forces consumers to rethink activity, in this case, travel. The TSA already receives substantial funding each year. And given its largess and recent expenditures, it does not need more resources; rather, it needs to allocate its existing funds more efficiently. If implemented, this tax proposal will further inflate our oversized government and further jeopardize the fiscal health of the U.S. airline industry. Efforts are well intentioned and everyone supports an end to the fiscal crises that have too often served as the government's method for managing its budget and our economy, but raising fees or taxes on Americans is not the solution. The TSA can and should be forced to function with greater effectiveness and Americans should not be burdened with the additional costs.